Our joyful bouquet is a wonderful and passionate arrangement of bright and cheerful blooms sure to fill any room with joy. This bouquet is arranged by hand by our local florist and consists of gerberas, lilies, carnations and various other seasonal flowers. What&apos;s more, this bouquet comes with a delicious hand made birthday cake treat which is as tasty as it looks! 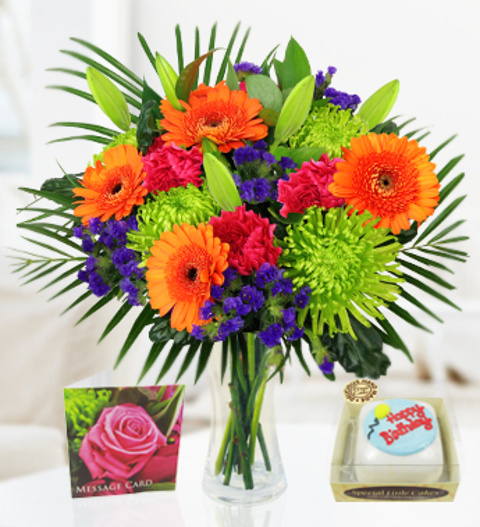 If you place your order before 4pm we can deliver this bouquet and cake throughout the UK.